HEIMDALL will develop and demonstrate a modular, flexible and scalable architecture that provides key stakeholders with relevant tools to process the available data and improve preparedness of societies in relation to emergency management, thus enhancing response capacity of society as a whole. The HEIMDALL services can be divided according to the phase of the emergency management cycle in which they are mainly used. According to this, the platform will offer services to be used either in (i) the preparedness and mitigation phases or in (ii) the response and recovery phases. Regarding the former group, the system will allow end users to define, store and share a catalogue of realistic scenarios based on their experiences and according to the requirements of the different user profiles (firefighting units, civil protection, police departments, medical emergency services and command and control centres). The system will allow end users to associate each scenario to the corresponding response plans to be applied according to their experiences and best practices, thus fostering their sharing. 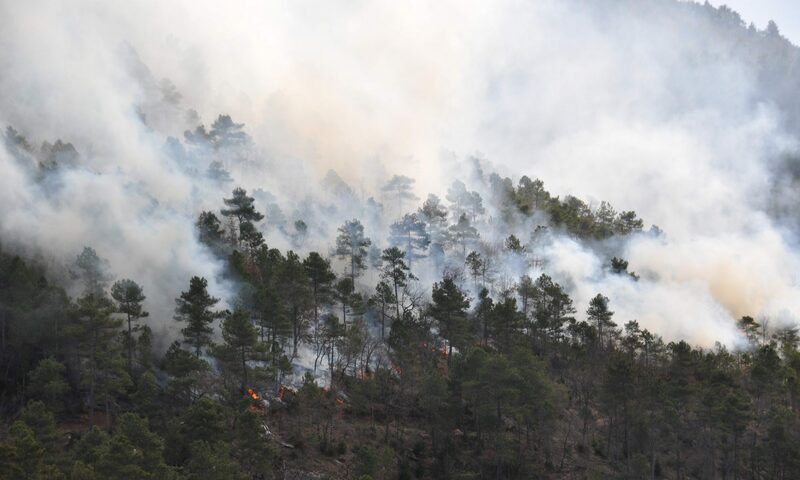 Additionally, risk detection and monitoring services will be provided by HEIMDALL thanks to the integration of a wide range of advanced satellite and ground-based sensors, adapted to the hazards under consideration: forest fire, floods and terrain movements. With regard to the response and recovery phases, once a risk or emergency has been detected, the platform provides a series of modelling algorithms for each addressed hazard, which combined with data fusion techniques and decision support tools provide users with an improved assessment of the situation and its associated risk and vulnerability. Making use of these inputs, the decision support tools will compare the data corresponding to the actual situation with the information available in the catalogue of scenarios and determine the most relevant scenario to be considered, together with the associated response plan and the corresponding best practices. Finally, the information generated or available in the system, such as relevant response plans or map-based situation assessment information can be accessed by the relevant stakeholders or shared with them once it is available. In order to allow this feature, which is especially relevant for first responders deployed on the field, HEIMDALL will make use of rapidly-deployable communication infrastructure in order to allow the re-establishment of communications on the field in case the existing infrastructure has been damaged or never existed. Making use of this portable, satellite-based communication system, first responders on the field will be able to access the information available in the platform, to receive any relevant message generated by the platform and to provide data, such as their own location or pictures from the field, to be stored at the platform. HEIMDALL will foster data and information sharing among stakeholders by means of developing a federated architecture, based on content oriented concepts, where different local units of the system can publish services, data and information by means of a global catalogue. This approach provides flexibility at different levels: on one hand, different services can be available in each local unit and made accessible to users accessing other local units by means of publishing them in the catalogue. On the other hand, additional external services can be easily added to the overall architecture by publishing the corresponding services or information in the catalogue and establishing the corresponding connection, without additional integration efforts. This project has received funding from the European Union’s Horizon 2020 research and innovation programme under grant agreement No 740689.